Fifteen years ago, in the month of May, I drove with two of my friends from Raleigh, North Carolina, to St. Tikhon’s Monastery in South Canaan, Pennsylvania, for the canonization services of a new saint. I knew almost nothing about him at the time. I had been an Orthodox Christian for only two years, I was still a bit starry-eyed about the faith (and I still am), and a canonization just sounded cool. So I made the pilgrimage almost as a kind of spiritual tourist or hobbyist, though with perhaps more earnestness than those words usually suggest. I’m not sure how many people were there, really. At least hundreds. Maybe thousands. I’m no good at estimating these things. But it was magical. Maybe I felt that way because I’d never seen so many Orthodox in one place. There were maybe eighteen bishops (until then, I’d only ever seen one). The Metropolitan of Poland even came. I came away happy from the spectacle and sporting my very own icon of the brand new saint. I still didn’t know much about him. My knowledge of Raphael Hawaweeny, Bishop of Brooklyn, only began to come in the years that followed. I eventually learned the details of his life. But what is perhaps most meaningful for me is that I’ve come to have a relationship with this saint—an unlikely pairing, him and me. Twenty years ago, who would have imagined that I would have such a strong affection for a Lebanese-born, Greek- and Russian-educated, Syrian immigrant bishop who died a hundred years ago? But here we are. 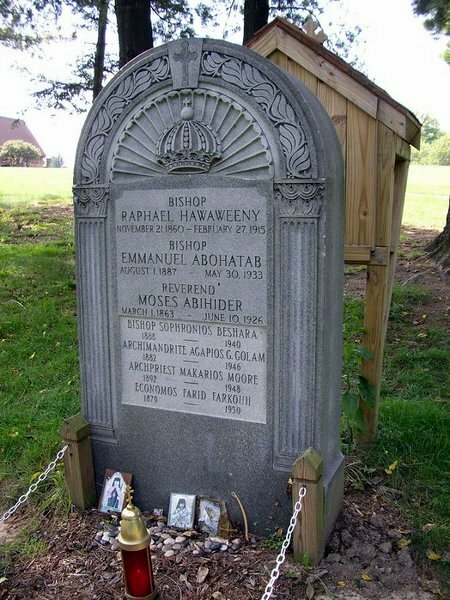 There have been various moments over the past fifteen years where I found myself standing at the grave of St. Raphael at the Antiochian Village in Pennsylvania, asking for his prayers. When my wife and I knew that we wanted to have a child, even though it made no particular economic sense (we were about to begin my final year of seminary, and my wife was our sole breadwinner at the time), I stood before his grave and asked him to pray for us for a child. And when I returned home from that trip, we found out that my wife was already pregnant with our first child. And when I prayed that he would help us to find a solid, stable place to serve after graduation from seminary, we ended up serving for two years at St. George Cathedral in Charleston, West Virginia, a church he himself had founded. And there have been other moments, as well. I am glad that I get to go back to the Village a few times every year, because there is much that I have asked him to pray about. I’ve also seen and heard about more clearly miraculous answers to prayer, as well. One woman who was a parishioner in Charleston who had a chronic disease no longer needed her medication after we prayed the akathist to St. Raphael on her behalf, standing before his icon and relic there. 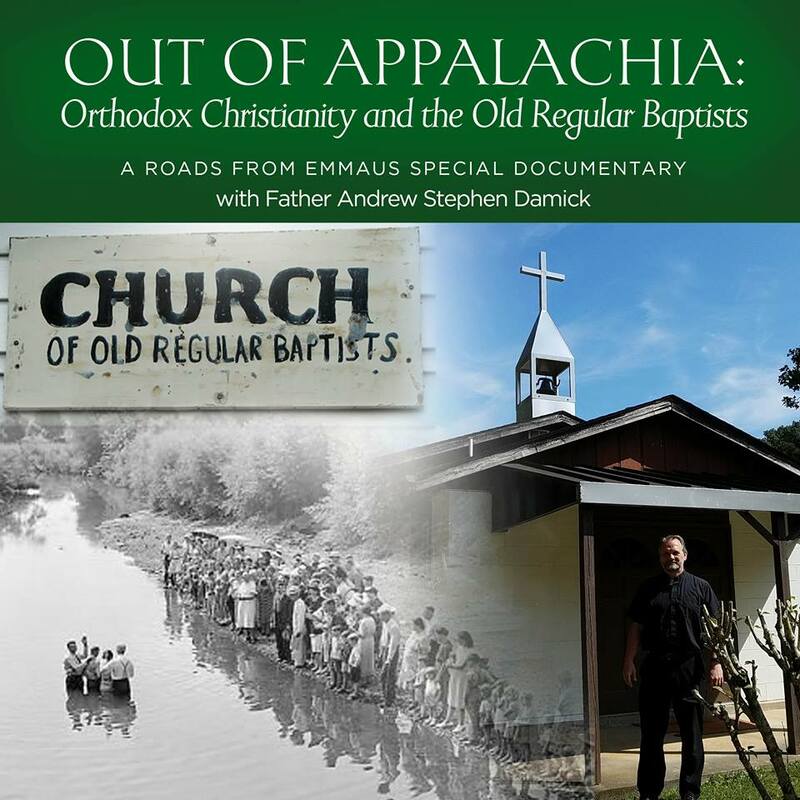 And there is of course the famous story about the children who “saw the bishop” at the Antiochian Village: Telling one of the priests there they had seen a bishop, he said there was no way, because no bishop was present there that day. Then someone took the children to the library where there are various portraits of bishops who served in the Antiochian Archdiocese, and they pointed to St. Raphael’s portrait as the man they had seen. They had no idea he was a saint. And there are more such stories. I am an Arab by birth, a Greek by primary education, an American by residence, a Russian at heart, and a Slav in soul. As a Third Culture Kid, it is hard for me to identify completely with any people or place, and even if Raphael was not quite in the same boat as I am in that regard, I have in some sense a patron saint in him for this reason. I look at my own little Raphael sometimes (he will turn 3 this May; he is our third child) and wonder how much like his namesake he will be. I see his unstoppable joy and have to imagine that this is a gift from the saint. May God grant us all the prayers of the holy Raphael, Bishop of Brooklyn and Good Shepherd of the Lost Sheep in America, especially today, which is 100 years since his birth into the eternal Kingdom of Heaven on February 27, 1915. Holy Father Raphael, pray unto God for us! Wow, beautiful! Thanks for sharing this! Thanks for sharing this Father. A blessing to read. That trip for St. Raphael’s canonization was such a beautiful experience. I remember it with much thankfulness!